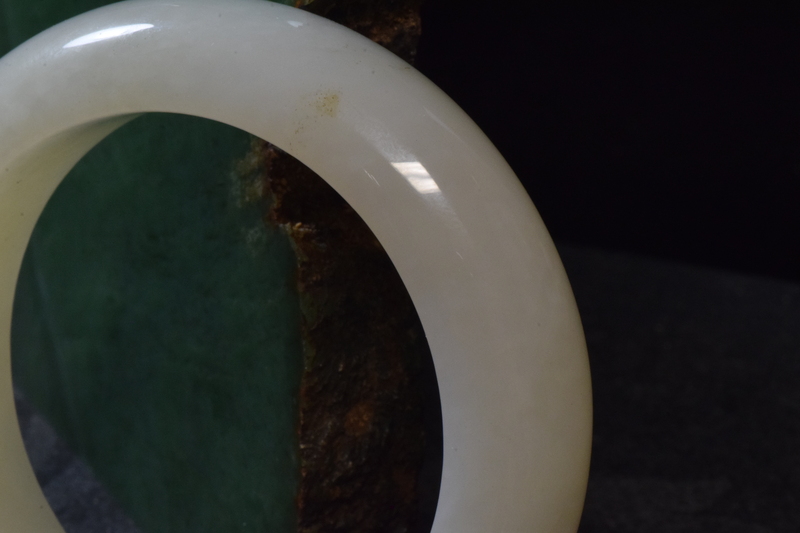 Siberian White jade is one on the world’s most sought after white jades. This is a high quality piece with noted differences from perfect below. 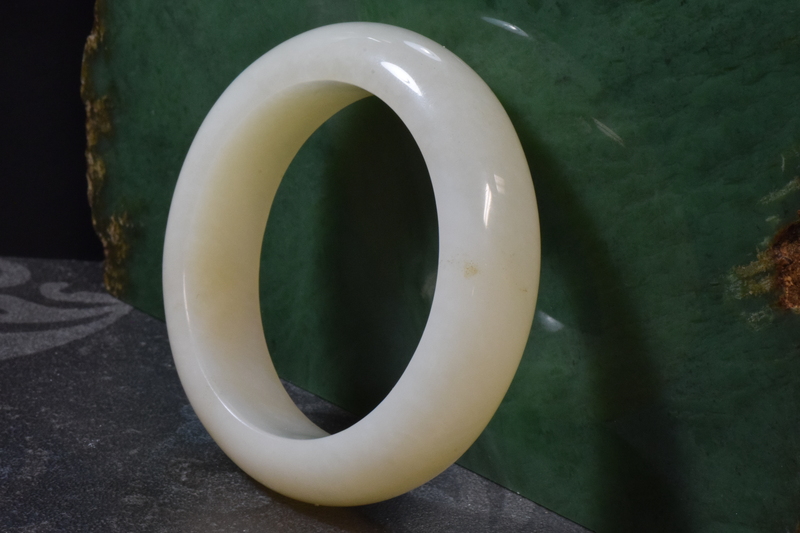 A perfect Siberian white jade bangle of this size and dimensions would fetch more than $10k US around the work. This bangle took a really high polish, has no fractures and only slight specs of off white in a couple areas that can be seen in the photos. Also, there is a slight modeling of this material seen in certain lighting otherwise is a solid white color. It is also not “Paper white” but is a nice white color and rare bangle to find. This bangle is a “D” style but is significantly thick. This is not a thin cut bangle and is very solid almost giving the appearance of a fat princess round but has a flat inside that is slightly rounded for comfort. This is a stout significant bangle. 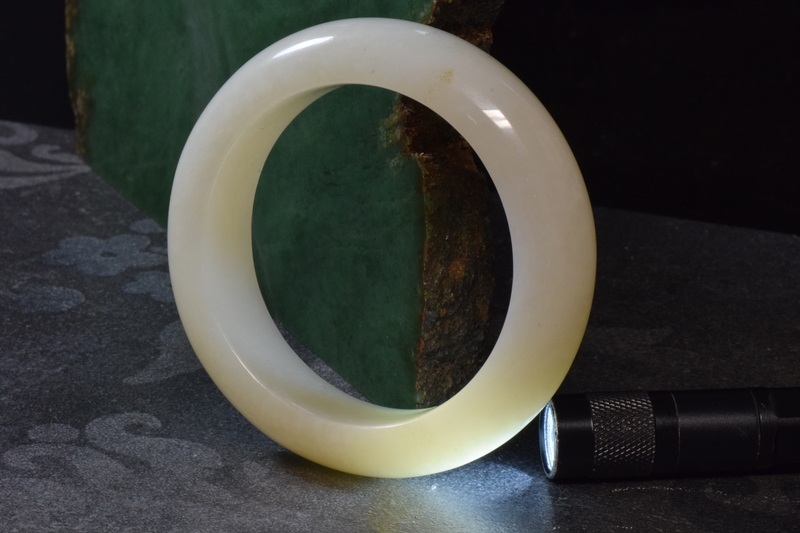 This white nephrite jade from Siberia is extremely hard to find. 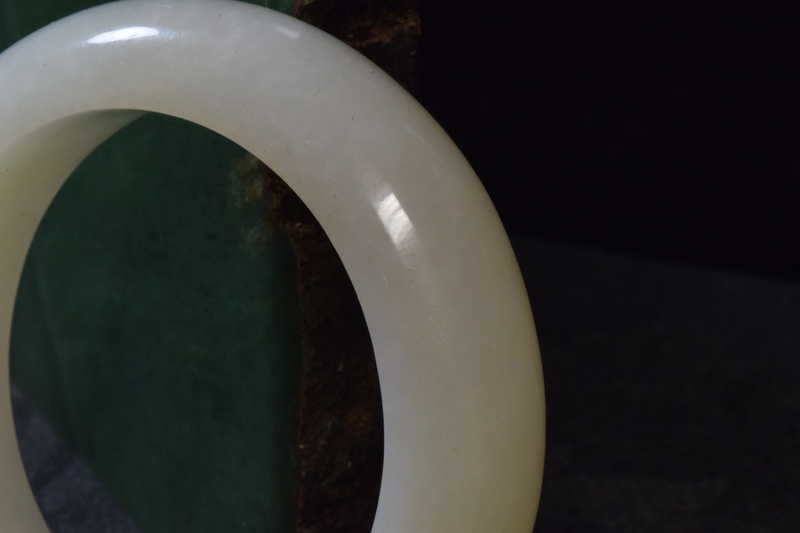 Some of the finest white jade in the world comes from Siberia. The material has literally dried up on the market. It is said that this material is being guarded in Russia and is only being sold to special customers. I am lucky to have some of this material. 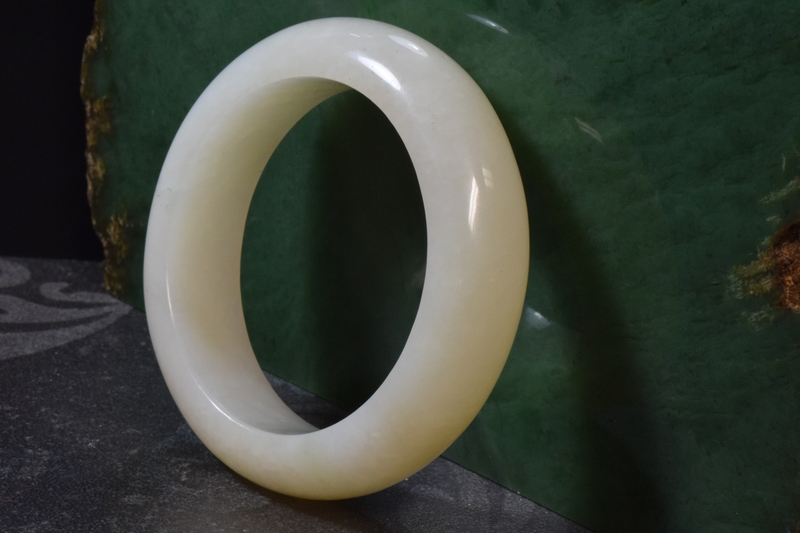 The Siberian white nephrite comes from 4 different areas east of Lake Baikal. Extremely difficult to get to and only accessed during the summer months by truck then finally by helicopter. Yes, by helicopter.